As I’m writing about this Syn Free Vegetable Stew With Orzo, it’s a mirky, cold Sunday afternoon. Perfect weather for staying in and cooking something that will warm the cockles of even my stony, dead heart. But I’m a bit lazy, if truth be told. I’m not the biggest fan of slaving over a stove for hours on end to produce a nice meal that only I will see and taste. I’m not spending THAT much time on myself. So I turn to my trusty Instant Pot for some assistance. I’m able to delicately (violently) chop some veg, peacefully (viciously) whip up some stock and lovingly (filled with hatred) put some other bits and bobs in the pot. This means I’m able to get a lovely stew cooked in time for tea! Best to start off with a pressure cook to make sure that all the veg is cooked, and then finish it off with a slow cook to make sure that all the flavours are at their very best. I like to use the Instant Pot glass lid when slow cooking, so I can keep a beady eye on the contents. 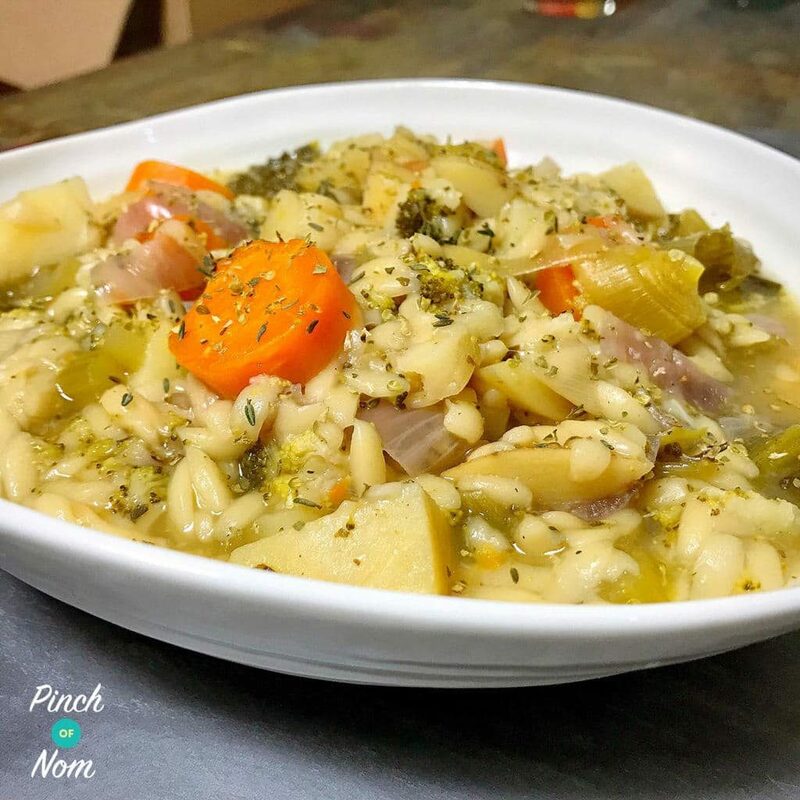 The vegetables in this Syn Free Vegetable Stew With Orzo are completely adaptable to your preferences. You can always add a bit of meat into the mix too, just check for appropriate cooking times. Enjoy! 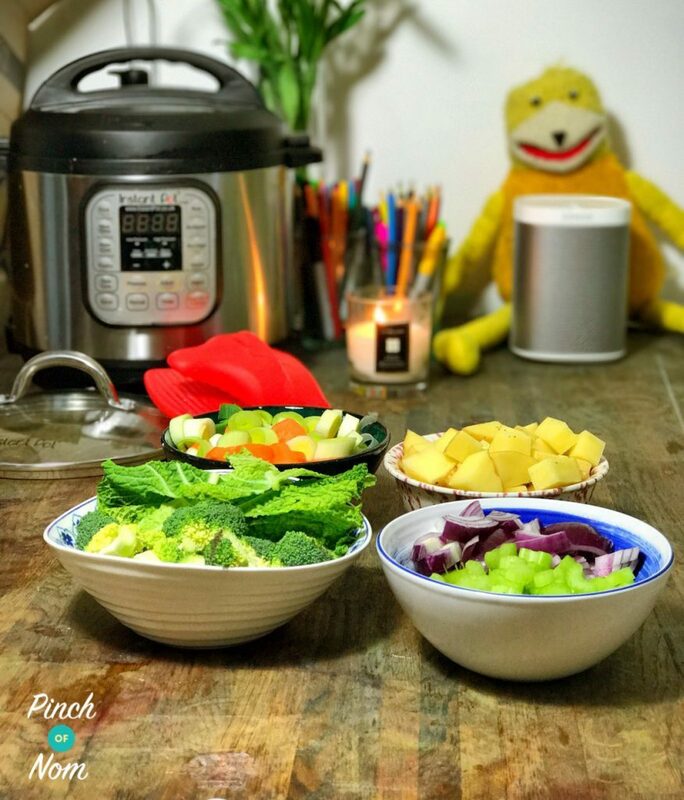 It’s like a like a slow cooker/pressure cooker hybrid, and it’s probably one of our favourite, and most used kitchen gadgets here at Pinch of Nom. 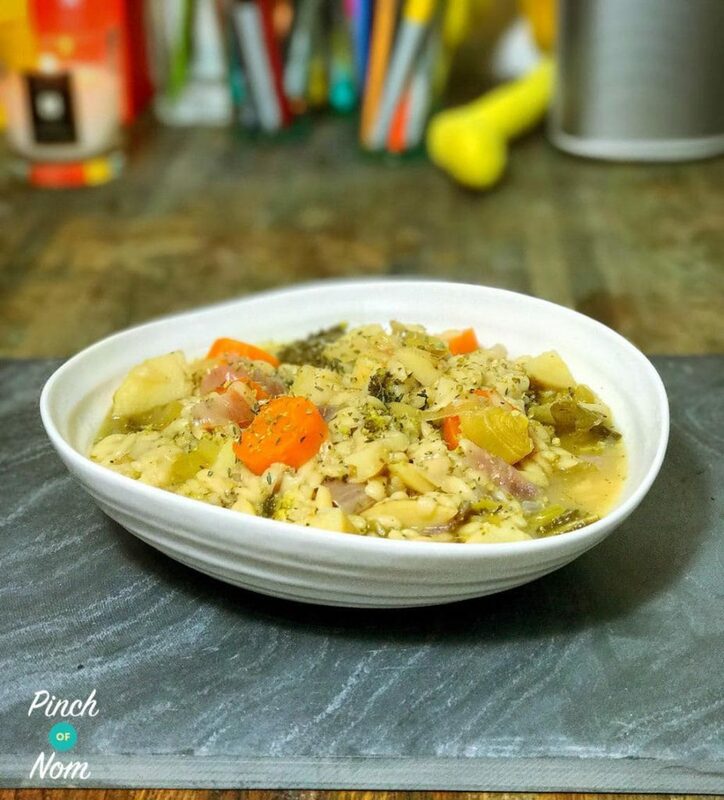 It makes cooking this Syn Free Vegetable Stew With Orzo SO much easier. 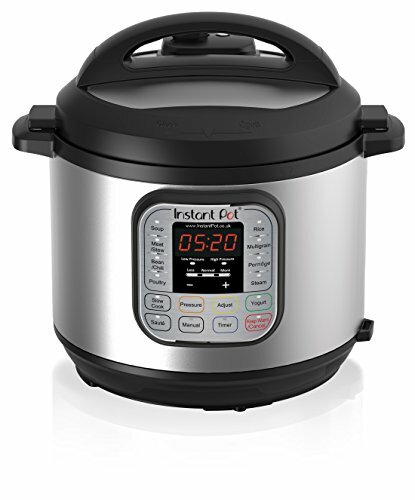 You can pick up an Instant Pot on Amazon. Add to the Instant Pot, along with the rest of the ingredients. Adjust seasoning, then plate up and enjoy! 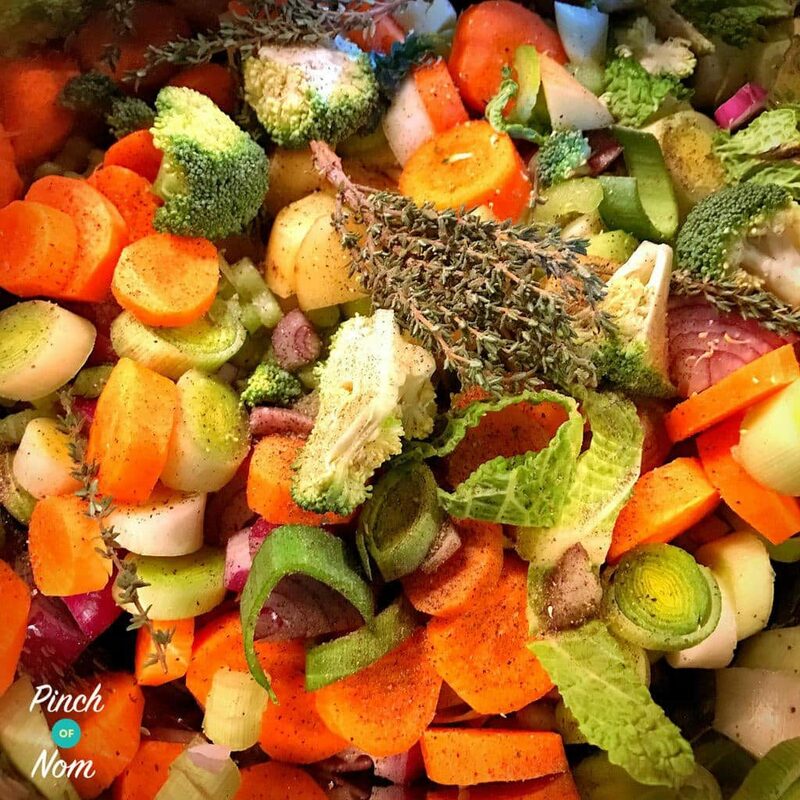 How long in a standard slow cooker please? In a standard slow cooker, this should take 3-4 hrs on a high setting. Could frozen veg be used to make this? If you’d like to add chicken, I’d brown it off first, then add to the slow cooker with the other ingredients. You won’t need to add any more stock than the quantity listed on the recipe card. Hope that helps!